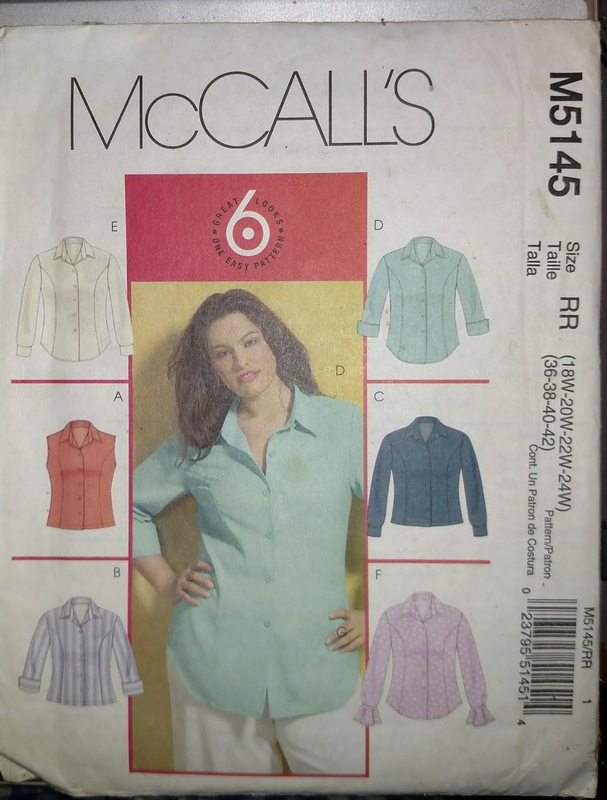 This is a women's shirt pattern that gives you six different style options. The sizes included in the pattern are from 18W to 24W. When I bought this, I was distracted and I forgot that pattern sizes are different than ready-to-wear sizes. I could have altered the pattern to fit me, but I don't have the time right now to do that, and I bought this months ago, so I can't return it. Here's the link the to the eBay listing, if you want to see it. 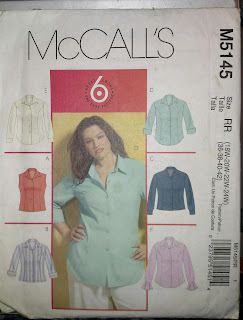 Simplicity 3956 is the second listing I would like to share. This is a boho-chic, ultra-feminine top pattern that includes six different styles. The pattern is new and uncut. The markings on the envelope were there when I bought it in a box of sewing patterns from a large sale. Sizes this pattern makes are 12 through 20. 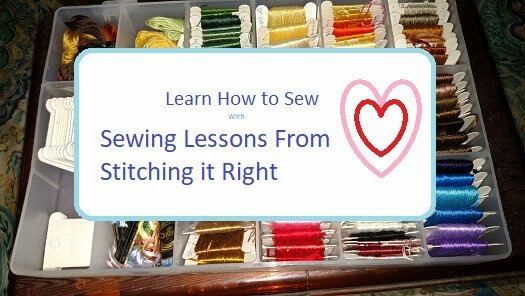 The pattern is labeled easy, which is nice even for skilled sewing artists, because you can create a stunning garment in a short time period using the pattern and directions. Click here if you would like to check out this women's top sewing pattern on eBay. My third and final listing for the evening was Simplicity 8621. This is a pattern for sewing a fitted women's vest. This one is a vintage sewing pattern, but not super-old vintage - like from the eighties. You get four different vest styles to choose from with this sewing pattern. The sizes included in the pattern are 16 through 20. 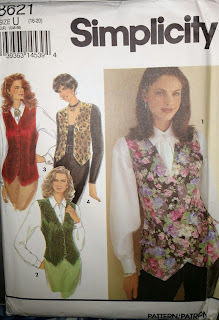 Click here to see this women's fitted vest sewing pattern on eBay. These are all new and uncut, though the envelopes have seen better times. I plan to leave these listings live until the patterns sell, or until I figure out how to set them up as listings here on Stitching it Right. Thanks for reading. Feel free to leave a comment if so inspired.